SLUA is looking for a paid person to write processes, procedures and best practices for different areas of the organization in order to improve processes and scheduling for all activities and decrease volunteer time requirements. The job includes interviewing league coordinators and other volunteers to understand all required activities and then work with the SLUA leadership team to document best practices. The ideal candidate will be a self-starter with good writing and communication skills as well as an understanding of Ultimate. Business writing and/or process management experience is helpful but not necessary. The hourly wage for this task is set at $15.00 per hour with an initial budget of $1,500.00. Work may begin immediately. 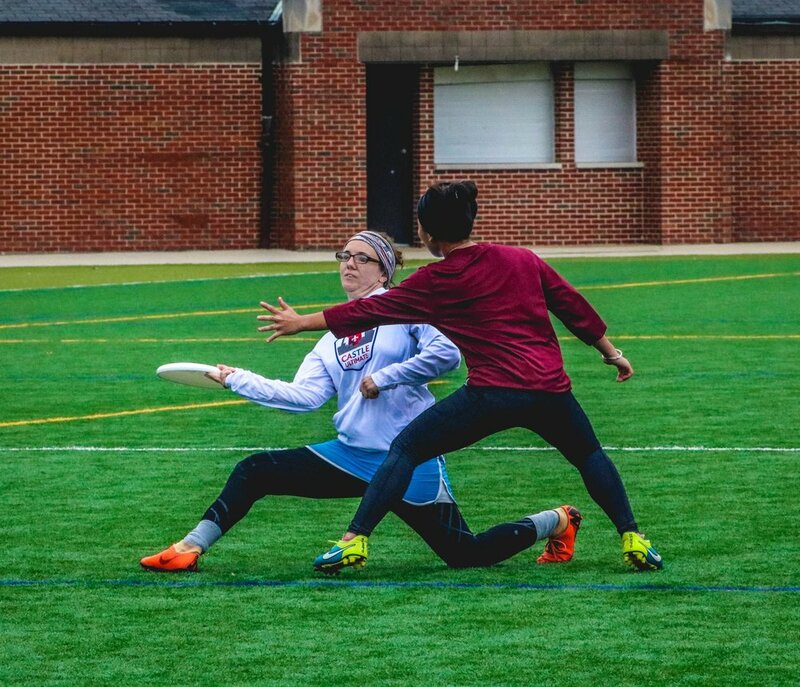 Stellar, STL’s competitive women’s club team, was formed to represent STL on the national stage as well as develop and build competitive women's ultimate players. Unfortunately, the club season is an expensive commitment and those costs are often a barrier to participation. 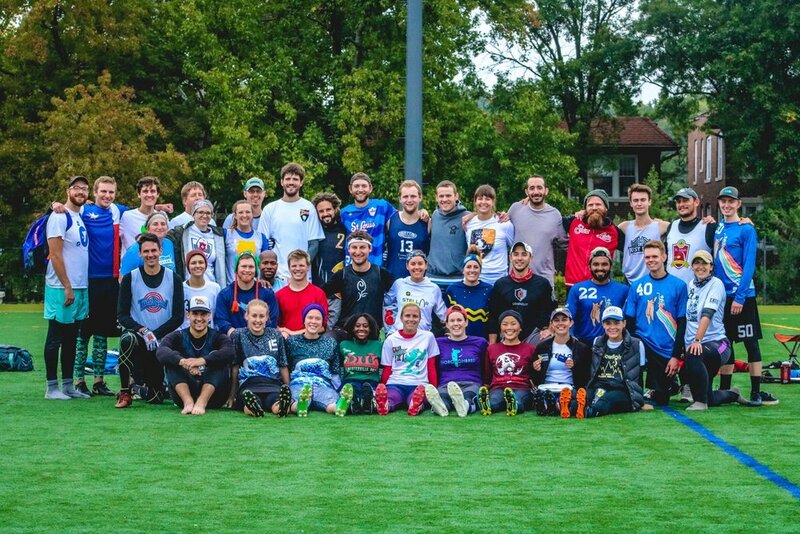 With their inaugural season behind them and a solid first-year showing at regionals, Stellar hosted several events to garner support and raise funds for their teams future. Being a new team and one with many players new to the club level, Stellar aims to build up funds to make playing women’s Ultimate as accessible as possible for our community. To kickoff their postseason fundraising, Stellar played a showcase game in Toyota Stadium on Saturday and organized a mixed hatdraw tournament on Sunday. Stellar’s goal for the weekend was to fundraise, but they also expanded and brought our Ultimate community together. Hot take from the weekend: support women in ultimate. Keep scrolling to get the full scoop and support our women’s team. Playing in front of a crowd is tough. Playing in front of a crowd that has no idea what you’re playing is daunting. This is the exact situation Stellar signed up for. These women played under stadium lights in front of a crowd that came to see men play soccer. As the STL FC (soccer) game reached halftime, most people turned their attention away from the field to their phones, companions, or rumbling stomachs; attention on the field was the lowest it had been in an hour. That’s when the first pull of the showcase went up. As these ladies played, they gained more attention from the soccer fans with each throw. Many weren’t sure how these women were doing what they were doing with a ‘Frisbee’, but Stellar captured their attention. For Stellar, this game was all about exposing people to both Ultimate and women in sports— to say they succeeded would be an understatement. Stellar put on a great display of women’s ultimate and walked away sweaty, covered in turf pellets, and with many new fans. Stellar would like to send a big thank you to the players who signed up for the hatdraw tournament. All who came out got in a lot of touches with many different members of our community and supported the growth of STL women’s ultimate. Your support will help Stellar become a more inclusive, accessible, and successful program. This past weekend, club teams around the nation competed at regionals hoping to make it to the coveted, sixteen team, national tournament. In order to make the cut, hundreds of teams in eight regions across North America faced off in Women’s, Men’s, and Mixed tournaments for a chance to advance. The regions are determined by dividing the nation into eight parts, and teams compete in the region of the city they represent—Saint Louis is in the North Central region. Four Saint Louis teams competed at regionals, see how they did below! In their inaugural season, Stellar went into regionals ranked sixth of the nine teams in attendance. For a first year team, this ranking alone is a success and speaks well of their season. At regionals they had record of 3-3 earning them a seventh place finish. They fought hard and beat Milwaukee’s MistiKuE (twice) as well as Madison‘s Lady Forward. Their losses came against Kansas City’s Wicked, Ames’s Wild Roses, and Minneapolis’s Pop (a regular competitor at club nationals). Even though their season ended this weekend, this wont be the last you hear from Stellar. Being a first year team brings a unique set of challenges and hindrances, but now that season one is behind them it will be exciting to see what Stellar is capable of in years to come. Coming into regionals ranked sixth of twelve teams, Castle had an uphill battle to earn one of two bids to nationals. In their first game, Castle put up eight points against the top seed, Madison Club, who scored thirteen. While this started their tournament with a loss, it showed a glimpse of what this Saint Louis team is capable of. Unfortunately, the boys weren’t able to continue the grind from there, ending pool play with a 1-4 record, sending them into the seventh place bracket and knocking them out of championship contention. On Sunday, Castle regrouped and made the best they could of a tough weekend by beating Saint Paul’s Swans and Omaha’s Scythe to make it to the finals of the seventh place bracket. They lost in the finals to Iowa City’s Illusion 9-13, and finished eighth overall. With a fresh roster and a season plagued by injuries, Castle ended their season unsatisfied and hungry. Be on the lookout for them working hard in the off-season to make next year a better one. The North Central mixed regional had two bids to nationals, being fought over by sixteen teams— four of which have been to nationals in the past, two have won Worlds, and one has won Nationals. Chalice entered regionals ranked ninth with big names ahead of them. On Saturday Chalice went 3-1 beating Star Power (St. Paul, MN), the Hellbenders (Springfield, MO), and Pandamonium (Twin Cities, MN), losing only to the second seed No Touching! (Twin Cities, MN). Their record sent Chalice into the second place bracket where they advanced to the semifinals after beating Northern Comfort (Milwaukee, WI) and, former worlds winner, CLX (Ames, IA). Unfortunately, this is where their winning streak ran out— Chalice lost to NOISE (Madison, WI) and finished in fourth place, just two shy of nationals. Fourth is the best regional finish in Chalice’s history and an incredible achievement. Coming off their most successful season to date, Thoroughbred had high hopes for the 2018 season. However the team looked very different this year— many returners either moved or decided to venture from Mixed leaving big holes in the Thoroughbred roster. These holes were filled with new and generally younger players, creating new opportunities and challenges. Young, less experienced players often come in with open minds and are ready to soak up what you give them— an excellent opportunity for Thoroughbred in the long run. Plus, young legs are very handy to have around when the points get long. However, a ‘first year’ heavy team has to teach, get everyone on the same page, and find their chemistry quick to have any chance of success in the post-season. With an up and down regular season, Thoroughbred came into regionals ranked thirteenth out of sixteen teams. They went 1-4 for the weekend, finishing in fourteenth, beating the Hellbenders (Springfield, MO), and losing to NOISE (Madison, WI), Northern Comfort (Milwaukee, WI), panIC (Iowa City, IA), and Mojo Jojo (Minneapolis, MN). Thoroughbred’s season didn’t go as hoped but, as is their way, they stayed goofy ponies. With a solid base, new talent, and a lot of growth under their belt, it’ll be exciting to see where they go next season. Announcing the first annual STL Horse Race Mixed Goalti and Trivia! Thoroughbred will be hosting two events on Sept. 15, 2018: A mixed goalti hat tournament and trivia night! Feel free to participate in one or both. Advanced registration online preferred, but day-of registration available as well. Cost: $20 before the event (by 9/13), $25 day-of registration. How do you play goalti? Organizers will randomly assign players to teams so that you get to play with and meet new people! Can we make our own teams for trivia? Yes, the limit is 8 people per team. 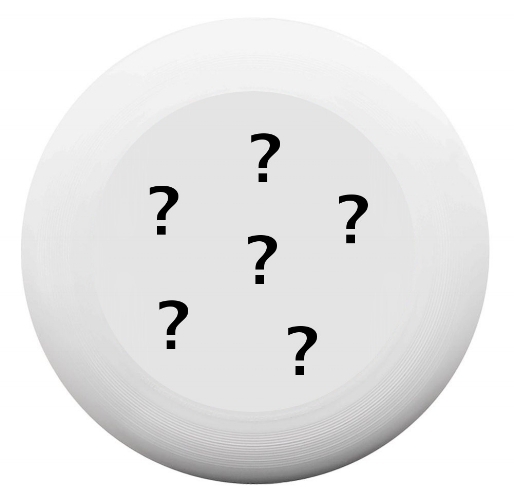 Is trivia just going to be on ultimate-related stuff? Besides some ultimate bonus questions, all of the trivia questions will be on non-ultimate stuff-- so invite your work friends, family, etc! Are there going to be winner's prizes? You bet there will be. Paypal STLthoroughbred@gmail.com before 9/13 (using the friends and family option) to get the early-bird price for the goalti tournament. Due to re-scheduling of USAU Sectionals to 9/15-16, Thoroughbred has to postpone the Goalti & Trivia events. Please stay tuned for updates on when these events will be rescheduled for. If you have already paid, you should receive a refund within the next week. We appreciate your understanding and hope you will join us later this fall. St. Louis Ultimate Association is proud to host the Annual Missouri State High School Championship. 17 teams are competing for both Boy's and Girl's State Titles! Come show your support for the future of Ultimate in our region! Calling all doodlers and designers. We want you to design this summer's disc! Submit your design to Jose@slua.org by May 1st. Captains and Coordinators will vote on their favorite design at the annual Summer League Kickoff Meeting in May. Check out Discraft's art guidelines to get a better idea of what works and what doesn't work. The winner will have their fees covered for the league of their choice!